Are chronic headaches a problem for you? The trouble may actually be in your jaw. When your teeth are misaligned, symptoms will manifest in a variety of ways. You may have headaches, jaw aches, tooth pain, problems talking and chewing, pain in your shoulders, hypersensitive teeth – even blurred vision. Pride Dental can help set things right. 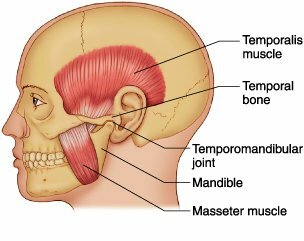 The temporomandibular joint, or TMJ, is the hinge for your jaw. You have one on each side of your head. When the teeth are misaligned, it can cause these joints – and adjacent structures – to work incorrectly. Over the long term, it can damage them. 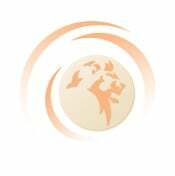 Our holistic approach to TMJ/TMD pain uses the Disclusion Time Reduction system of diagnosis and therapy – DTR for short. With this method, we evaluate and provide treatment to reduce friction between the back teeth during chewing – the friction that causes clenching and grinding, leading to the kinds of TMJ symptoms listed above. The diagnostic tools we use include T-Scan, Range of Motion, EMG (electromyography), JVA (Joint Vibration Analysis), and Jaw Tracker. Our goal is to treat you without needing an appliance. But when needed, the knowledge we gather can help us identify just the right one for your needs – an NTI device, for instance – or other method to relieve pressure on the joints and properly align your bite. Because the pain can be so severe and debilitating, trigeminal neuralgia – TN, for short – is often called the “suicide disease.” Sudden and cruel, episodes may last only seconds but recur up to hundreds of times a day. There may be periods of remission, with welcome relief for days, weeks or even months. It most commonly afflicts people over the age of 50. When a patient comes to us complaining of headaches or TN-like pain, we start by looking beyond their pain pattern and history. We consider diet, sleep patterns and how the chewing muscles are working. Has trauma triggered inflammation of the nerve? Has the nerve become compressed? Has it been stripped of its myelin sheath? What can we do to help alleviate your pain safely and effectively, without drugs or other short-term solutions that do little more than suppress symptoms? We may use oral appliances to take pressure off the jaw joints, help the jaw line up in a neutral position or reposition the tongue to sit more forward in the mouth. We may use Neural Prototherapy, in which a series of subcutaneous injections is given to help with inflammation and restore the nerve to normal function over time. We may use herbs, nutritional supplements and homeopathics. Contact us today for help in making chronic jaw, head, face, and neck pain a thing of the past.